The number of businesses moving from on-premise Exchange to Office 365 has increased significantly over the last couple of years. Email backup has not only become an essential part of IT, but one of the most important ways to ensure business continuity. It is unfortunately also one of the most neglected business practices. To understand why email backup is so important, it is perhaps essential to understand what a backup is: “A backup is an independent copy of data that can be restored if the source system or service is unavailable”. “Data that can be restored” being the key phrase – it is not so much about backup as it is about the restore capability. In a business set-up, you want to be able to restore a complete system, a user account or individual emails on demand. It is therefore essential to have proper, up to date Office 365 backups. Should you (either intentionally or accidently) delete a user, the deletion is replicated across the whole network. Files are corrupted resulting in critical business data being lost. With an up-to-date Office 365 backup, you can restore the user either to on-premises Exchange or Office 365. 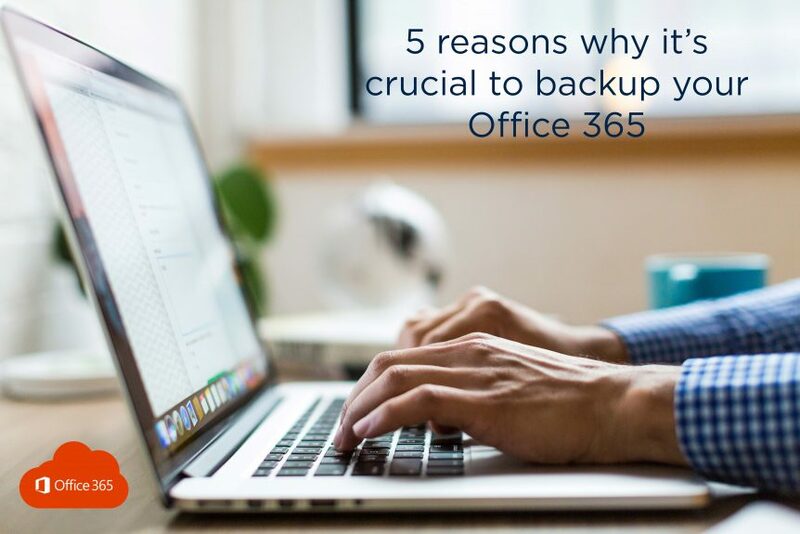 Because Office 365’s retention policies are complicated and arduous to keep up with, a backup provides extended and increasingly accessible retention, all protected and stored in one place for easy recovery. More often than you think, businesses are experiencing internal security threats. Ensuring an up-to-date Office 365 backup mitigates the risk of critical data being lost or destroyed. Malware and viruses (external security threats) further cause serious damage to organisations and similarly, a backup can easily restore mailboxes to an instance before the attack. Data stored in emails can get corrupted beyond repair. It applies to both data stored on personal computers and email service providers. Certain legal regulations require organisations to store data safely in order for the data to be available and accessible in the event of, for example, litigation. Backup up Office 365 ensures that you can retrieve mailbox data during legal action, or to meet any regulatory or compliance requirements. Businesses everywhere are grappling with the challenges of moving to the cloud. It’s important to remember that software as a service (SaaS) platform providers such as Microsoft Office 365 assume the responsibility of both application uptime and critical infrastructure. However, it remains the customer’s responsibility to manage and protect their essential business data. Stage2Data recommend Probax cloud backup, archival and disaster recovery suite to ensure your organisation’s critical data is always available and recoverable.